I’m lucky to be participating in Roslindale Open Studios this year. This is the 10th year of ROS and they’re a great group to work with. If you want to start your Christmas shopping with some handmade items and also want the chance to look around Roslindale, take a bike tour, and sample some craft food and beverage, the first weekend in November is it! I’ll be in the lower level of the Roslindale Congregational Church. The excellent ROS website has my listing details here. The weekend events listing is here and the directions are here. There’s also ROS Home Studio Bingo. You have to play to win and you have to be there to play. Want to know more? 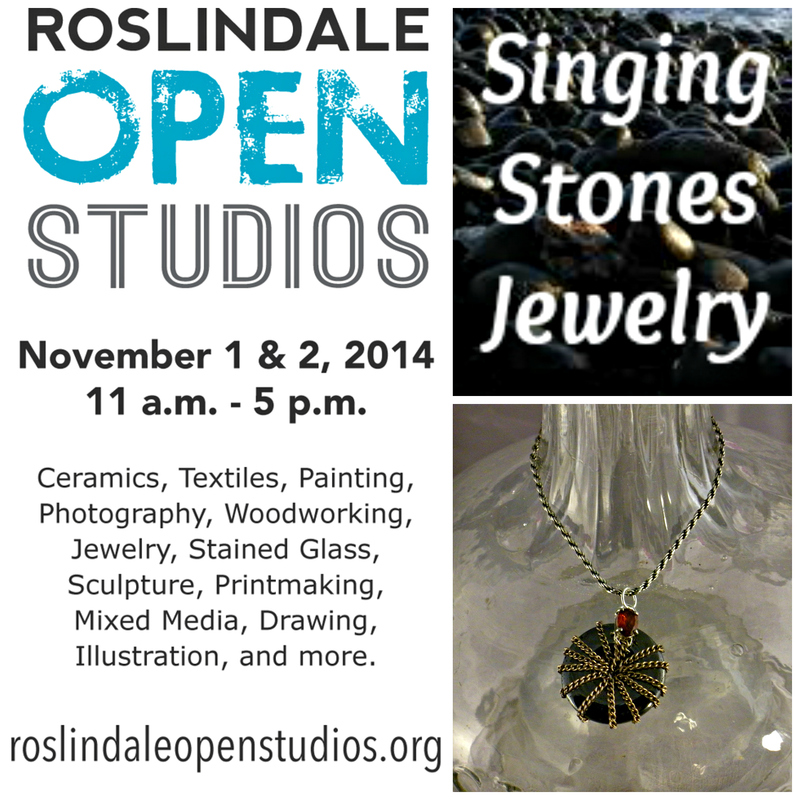 Come to Roslindale on 11/1 & 11/2!